How does the new bike path powered by solar energy work? It lays in the surroundings of Lidzbark Warminski, in the North of Poland and it is the first bike path that lights up at night that dependent entirely by solar energy: just a sunny day to recharge the bike path that will light for a whole night. The TPA Instytut Badań Technicznych Sp. z oo is the creator of this Polish project and it was inspired by the project of the Studio Roosegaarde realized in Netherlands where for the 125th anniversary of Vincent Van Gogh's death was created bike path that lights up at night, as "The Starry Night" of the famous painter, in an all-Dutch version that uses LEDs powered by solar energy and paint in order to make the street shine in the night. 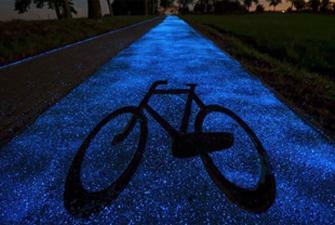 The technology used in Poland is different from the one introduced by Roosegaarde. 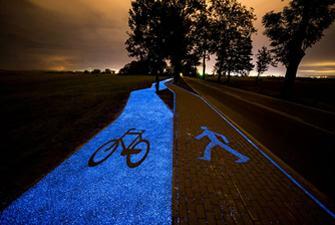 Infact, it is the first bike path powered by solar energy able to recharge itself during the day and shine in the night for per 10 consecutive hours by using phosphorus, a synthetic material, able to di light itself after a prolonged exposure to sunlight. 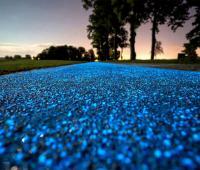 Phosphorus parcells used can be in different colours: the ones chosen in Poland are luminescent blue because they are better suited to the surrounding landscape. 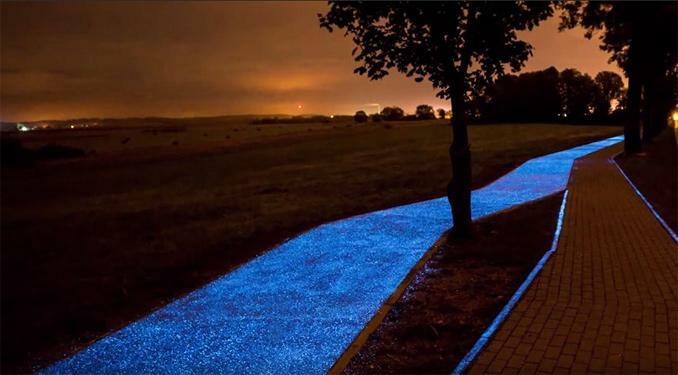 It seems to be really into the Van Gogh's picture along this particular path by bike that in the daytime sems to be a normal bike path but in the night it glows a bright blue that enchants. All the experiments that the TPA Instytut Badań Technicznych Sp. 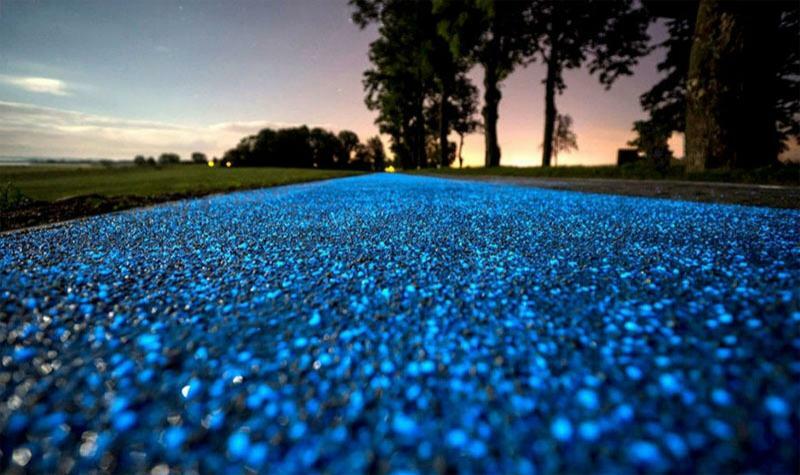 z oo is doing on the bike path powered by solar energy have the aim of improve the safety of cyclists at night. this is the reason why the project involved the construction of the bike path in a small street, in a suburban area until risky today of Lidzbark Warminski, transforming it into an exciting experience. Hope in the success of this project, we are confident in the ability to share it also in the rest of Europe ... including Italy. To get a good ranking on search engines, you must pay the search engines? Why are necessary imports and exports of power?